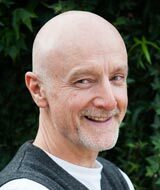 Robin qualified as an Osteopath Practitioner from the British School of Osteopathy in 1988. He has worked in Private Practice since, having his own practice in London and Newcastle upon Tyne, England before coming to New Zealand and settling here with his wife Julia and two children. Robin spent some years at the Osteopathic Centre for Children in London, hands on in an apprentice-like role, gaining experience. He has a special osteopathic interest in treating babies, children of all ages and pregnant women, apart from general osteopathic practice. Robin is a member of the Sutherland Cranial College (MSCC) in England having completed the Post Graduate Programme in 2008. 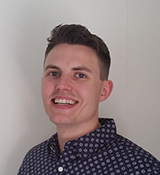 Luke graduated from Oxford Brookes University in 2013 with a Masters Degree in Osteopathy, focused in biomechanics, evidence based care and clinical diagnosis. Shortly after, he moved to New Zealand for its warmer climate and relaxed lifestyle. He began working in Whangarei for over a year, before joining the team at the Waikato Osteopathic Centre. Luke has experience treating people of all ages, from babies to the elderly and everyone in-between, using a unique approach for every patient and their presentation. Treatment techniques vary from structural techniques involving muscle energy and soft tissue techniques, mobilization and manipulation, to more functional, cranial and visceral Osteopathic techniques. The aim of Osteopathic treatment is to promote the optimum function of the body; pain in one area may be caused by a dysfunction elsewhere, so it is important to consider the whole person in the context of their pain. Resolving pain and regaining normal movement are the first priority before stabilising and strengthening the area through rehabilitative exercise and treatment. In his spare time Luke plays American football and enjoys training at the gym, as well as trying to stand up on his surfboard! Luke leads an active lifestyle, and is particularly interested in treating sporting injuries and providing rehabilitative care following trauma. Deborah was born in Malta and raised in Malta, England and Germany. She moved to New Zealand 14 years ago where she found Raglan and has been there ever since. In her past life she was a bilingual secretary and a massage therapist before continuing into Osteopathy. She graduated from the British School of Osteopathy with a BSc (Hons) in Osteopathy and for the last 20 years she has worked in complementary medicine. After working for some time in Auckland she set up her own clinic in 2008 in a beautiful restored villa in Frankton called Karioi Osteopaths. This clinic has now merged with the Waikato Osteopathic Centre which allows her to focus on her true passion as a practitioner. 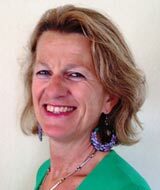 Deborah's preferred treatment modality is as a Biodynamic Cranial Osteopath. By palpating the head, lower back or any part of the anatomy she can feel the rhythmic impulses, motion and breathing of the musculoskeletal system, bones, ligaments, organs etc. These maintain a balance and integrity of health throughout the body. I am a bit like the conductor of an Orchestra, when something is out of tune, I help to fine tune it". "When I place my hands on a patient I have a "living picture" of the patients' anatomy in my mind. I can then discern normal from abnormal - or out of tune and I facilitate the patient to find their well being". Deborah wanted to be an Osteopath from a young age as she was lucky enough to have experienced its potential and holistic benefits. "I see Osteopathy as a total system of healthcare which looks at the whole person's health. We listen to their life story - the way they choose to live, think, behave, nourish themselves and why they have come in for a treatment." I really enjoy working with Women's health, mothers, babies, children and Corporate women. I am optimistic and full of life! I love walking on the beach and in the bush daily with my animals and friends in Raglan. Russell Gaddes - BAppSc(Hum Biol) MOst is an Osteopath trained in New Zealand, gaining a Master of Osteopathy at Unitec in Auckland. Russell enjoys the holistic healing and health approach that Osteopathy provides, and believes that the body has an innate ability to heal itself. He is interested in working with patients in all walks of life, who wish to be a participant in their own health. There are many styles of Osteopathic treatment available and Russell is able to apply the one most suited to the patient at hand, whether that is structural, functional, cranial, or a mixture. Russell was raised in the farming community in both Waitetuna and Te Awamutu. 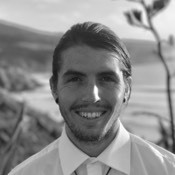 He now lives in Raglan where he enjoys surfing, hiking, learning Te Reo and exploring the land. 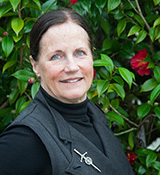 Lyn joined the Waikato Osteopathic Centre in June 2014 as the afternoon part-time Receptionist/ Practice Manager. She comes to us after a career spanning 25 years as Business Manager with the Ebbett Waikato Group and brings with her a wealth of experience. Lyn shares this position with Barb working 1.00 pm to 6.00 pm daily. She finds this role is varied and interesting, keeping her very much on her toes and loves continuing to meet and help people from all walks of life. Outside the clinic she spends time on their ten acre block with her husband, horses, sheep and chickens. She has been developing her lovely garden for the last 15 years from which she derives a great deal of pleasure, along with having time to go walking with friends and also the gym to keep fit for another of her passions, waterskiing. She has her own boat and love nothing better than a day spent with family and friends on one of our lovely Waikato lakes. Armen studied Traditional Chinese Medicine (TCM) in China for 10 years, graduating from Beijing University of Chinese Medicine in 2009 with a Master’s Degree in Clinical Medicine Acupuncture, Moxibustion and Tuina Massage. After that, he returned with his former classmate/new wife back to his homeland of Armenia and graduated from a 2-year course in Applied Psychology, his second passion since teenagerhood. In 2015, after working and traveling the world for a few years, he and his young family migrated to New Zealand. After living in Whangarei for 3 years Armen and his young family with 2 kids decided to settle down in Hamilton. 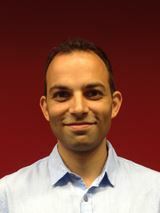 Armen has a vast clinical experience in treating patients of all ages both sedentary and sporting. He treated professional sportsmen and world-class chess players for 5 years, with his most notable achievement being the successful implementation of Acupuncture and physician’s responsibilities for Armenia’s National Men’s Chess Team, who he supported in winning the World Team Championship in 2011 and Chess Olympiad in 2012. Armen also has a valuable experience in treating numerous conditions from Inner Medicine, namely psychosomatic disorders, by combining his knowledge of both Eastern and Western psychologies.